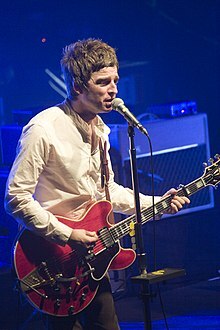 Noel Thomas David Gallagher (born 29 Mey 1967) is an Inglis sangster, sangwriter an guitarist. He served as the lead guitarist, co-lead vocalist an principal sangwriter o the Inglis rock band Oasis. This page wis last eeditit on 28 Apryle 2018, at 17:55.